If you want a bank account, but have a poor credit history or have been bankrupt? 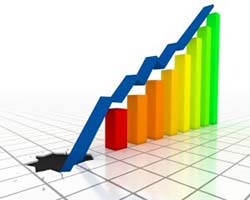 Find ways to rebuild your financial credit rating. Going bankrupt has a number of consequences for your finances. One of the main things is the impact on your credit rating - which could make finding a suitable bank account much more difficult. But, why? The reason is simple - when you apply for a current account, banks tend to carry out the same credit checks they'd run for someone taking out a loan or credit card. If you've struggled with money in the past, they might not trust you to manage a bank account properly. However, there are still some bank accounts available to people who are in bankruptcy, or who have been made bankrupt in the past and therefore have a bad credit rating. Most banks offer some kind of basic bank account, but they're not usually very well advertised, so you may have to go into a branch and ask. Basic bank accounts are designed for people who can't get a current account - whether that's because of a bad credit rating or, perhaps, because they're new to the country (which can also make things difficult). Some banks will still run a credit check when you apply for a basic bank account, but they won't be nearly as strict as they would if you were applying for a current account. Basic accounts offer only the basic banking features - somewhere to keep your money, a standing order and/or Direct Debit facility and usually a debit card - but they won't pay any interest on your balance, and other benefits are rare. Some charge a monthly fee, whilst others levy fees (which can be significant) if, for example, you slip overdrawn. It's well worthwhile considering which will be a better option for you. You can find an example of a basic bank account alternative here: www.thinkmoney.co.uk. Bad credit bank accounts are basically just another type of basic bank account, but they are aimed specifically at people who have struggled with money in the past. Like a basic bank account, bank accounts for bad credit generally provide the basic features of a bank account - but some come with added features such as a personalised budgeting service, in which money for bills and other living costs is put to one side at the start of each month - helping to prevent overspending. Here's an example of a bad credit bank account alternative with www.thinkmoney.co.uk. Using your basic or bad credit bank account should help you to rebuild your credit rating over time, as long as you don't get into any more trouble with your money. This is because managing your finances well is reflected on your credit report. After a while you may find you qualify for a current account again - and from there you may even be able to get a credit card, loan or mortgage.